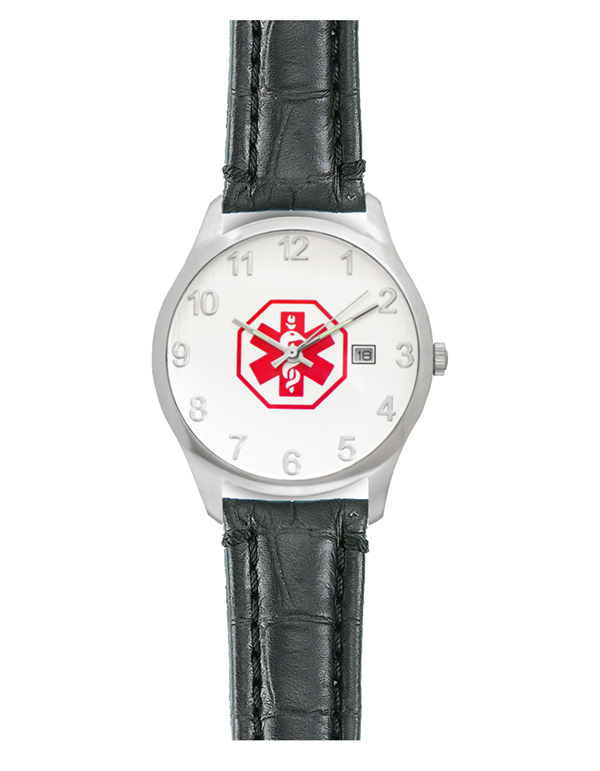 Fashionable stainless steel, hypo-allergenic men's medical ID watch with black leather band. 38mm case. 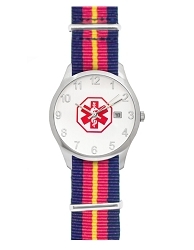 Easy to read dial with medical symbol. Glow in the dark hour and minute hands. 100 meters water resistant. I wanted to send a note to thank you for your outstanding customer service! 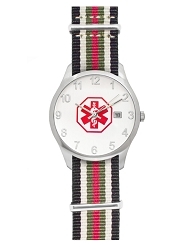 Our doctor recommended we order a watch or bracelet for my husband. He has a rare neurological disorder, oromandibular dystonia, that affects his speech. We did not know where to begin looking. We found your website and liked that we could have engraved on the pieces we ordered exactly what we needed. We ordered a watch and two different styles of bracelets. I also requested to receive the items in a short time frame because we will be travelling and our doctor suggested we should have these before that. I am happy to say the items arrived just in time and we are so pleased with the quality. 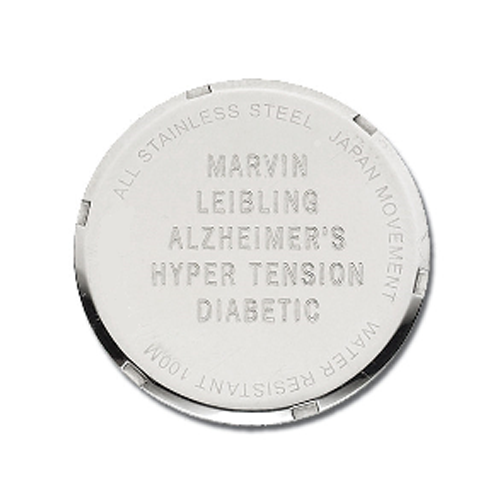 The items are exceptional and the engraving is perfect. It has been such a pleasure to conduct business with you and we want to say thank you! You have our highest recommendation! Have a blessed day!